Njube Sundowns is a Zimbabwean football team in the Zimbabwe Premier Soccer League (ZPSL). They play their home matches in Gwanda. Highlanders FC is a Zimbabwean football club based in Bulawayo, Zimbabwe, formed in 1926 that plays in the Zimbabwe Premier Soccer League. It is also known colloquially as iBosso. Dynamos Football Club is a Zimbabwean professional football club based since 1963 at Rufaro Stadium, Mbare, Harare. The team currently participates in Zimbabwe's top-tier, the Premier Soccer League. Founded in 1963 after a merger between two lesser teams in Mbare, Harare Township, Rhodesia, the side quickly became one of the strongest in the Rhodesian league, and by the recognition of the country's independence as Zimbabwe in 1980 had become the country's most successful team, having won six national titles. Dynamos have won a record 22 league titles and 16 cup titles. 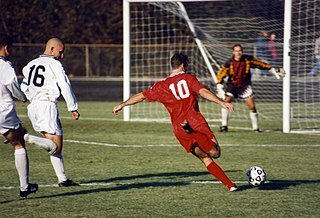 Asiagate is the name of the match fixing scandal that involved players and officials of the Zimbabwe national football team. Zimbabwe's national team underwent tours of Asia and lost several games which led to suspicions of match fixing. The Zimbabwe Football Association (ZIFA) is the governing body of football in Zimbabwe. It is responsible for organising the national football competitions in Zimbabwe and the Zimbabwe national football teams. Danish Prabha Shanker Kaneria, is a former Pakistani cricketer who has been banned for life for his involvement in spot-fixing. The Zimbabwe national cricket team is administered by Zimbabwe Cricket. Zimbabwe is a full member of the International Cricket Council (ICC) with Test and One Day International status. Tatenda Taibu is a Zimbabwean cricketer who captained the Zimbabwe national cricket team. He is a wicket-keeper-batsman. On 6 May 2004, he became the youngest Test captain in history, when he captained his team against Sri Lanka. Jonathan Nathaniel Mlevu Moyo is a Zimbabwean politician who served in the government of Zimbabwe as Minister of Higher Education from 2015 to 2017. He was previously Minister of Information and Publicity from 2000 to 2005 and again from 2013 to 2015. He was elected to the House of Assembly of Zimbabwe as an independent candidate in 2005 and 2008. He is considered the core architect of the AIPPA and POSA restrictive legislation. Trevor Brennan is a former Irish rugby union player. He played for Barnhall, Bective Rangers, St Marys College RFC, Leinster, Stade Toulousain and Ireland, being capped 13 times. He played either in the second row or as a flanker. In 2007 he attacked a fan and was banned for life, later reduced to five years. Sunday Marimo Chidzambwa is a Zimbabwean association football coach and former player who is currently coach of the Zimbabwe national team. Patrick Phiri is a Zambian football coach and former footballer. He featured for Zambian clubs Rokana United and Red Arrows as a striker and represented Zambia at the 1978 and 1982 African Cup of Nations tournaments. As a coach, Phiri led the Zambia U-20 national team to its first ever appearance at the 1999 FIFA World Youth Championship in Nigeria and was voted Zambian Coach of the Year at the end of the year. He was also in charge of Zambia at the 2008 African Cup of Nations in Ghana and has managed ten different club sides, with three of them more than once. He is currently in charge of Nakambala Leopards in the Zambian Premier League. Nyasha Mushekwi is a Zimbabwean professional footballer who plays for Chinese Super League club Dalian Yifang. The Tanzania national women's football team, is the national team of Tanzania and is controlled by the Tanzania Football Federation. They are nicknamed the Twiga Stars. Tomas Bugg is a retired professional Australian rules footballer who played for the Carlton Football Club, and previously with Greater Western Sydney and Melbourne Football Club in the Australian Football League (AFL). A defender, 1.85 metres tall and weighing 84 kilograms (185 lb), Bugg is capable of playing on both the half-back line and as a midfielder. He entered top level football early when he joined the Gippsland Power in the TAC Cup as a bottom-aged player. In addition to representing Victoria in both the under 16 and under 18 championships. His performances as a junior, saw him be one of twelve players who signed with the Greater Western Sydney Giants as an underage recruit in 2010. He made his AFL debut in the 2012 season and earned a Rising Star nomination. After spending four seasons with Greater Western Sydney, playing sixty-five matches, he was traded to the Melbourne Football Club during the 2015 trade period. During his time in the AFL, he has earned the reputation as being "one of the best nigglers in the competition". Prior to the beginning of the 2019 premiership season, he informed the Carlton Football Club of his decision to step away from AFL football, effective immediately. Zambia women's national football team, nicknamed The She-polopolo, represents the country in international match. There is also a Zambia women's national under-17 football team, a Zambia women's national under-20 football team, and Olympic qualifying team and a Homeless World Cup team. The country has participated in several qualifying tournaments for the FIFA Women's World Cup and other African-based football tournaments. The team is currently ranked 116th in the world. Peter "Rio" Moyo is a Zimbabwean professional footballer, who plays as a midfielder for South African side Witbank Spurs and the Zimbabwe national team. Danny Phiri is a Zimbabwean professional footballer, who plays as a midfielder for Chicken Inn and the Zimbabwe national team. The 2015 Zimbabwe Premier Soccer League is the 36th season of top-tier football in Zimbabwe. The season began on 21 March 2015 and concluded on 28 November 2015 with Chicken Inn F.C. winning their first league title, snapping a run of four straight titles by Dynamos F.C..
Norshahrul Idlan bin Talaha is a Malaysian professional footballer who plays as a forward for Pahang and the Malaysia national team. He is also known as Mat Yo. The 2016 Zimbabwe Premier Soccer League is the 37th season of top-tier football in Zimbabwe. The season began on 1 April 2016 when How Mine took on newly promoted Bulawayo City at White City Stadium. CAPS United won their fifth league championship and first in 11 years. ↑ "Zimbabwe 2003". RSSSF. 29 June 2016. Retrieved 29 June 2016. ↑ "Zimbabwe: Bosso Suffer Major Setback". All Africa. 5 January 2007. Retrieved 29 June 2016. ↑ "Africa: Dembare's Final Safari List". All Africa. 18 January 2008. Retrieved 29 June 2016. ↑ "Njube play-off crisis as player exodus looms". New Zimbabwe. 9 December 2009. Retrieved 29 June 2016. ↑ "Sibanda reappointed Quelaton head coach". News Day. 23 August 2012. Retrieved 29 June 2016. ↑ "Luphahla, Khoza, Phiri come out of retirement". Chronicle. 23 June 2015. Retrieved 29 June 2016. 1 2 "Danisa Phiri profile". 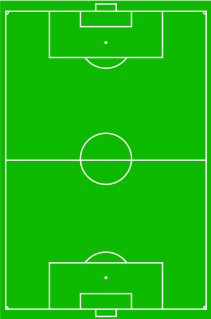 Football Database. 29 June 2016. Retrieved 29 June 2016. ↑ "Asiagate: 15 get life bans". News Day. 20 October 2012. Retrieved 29 June 2016. ↑ "Asiagate relief for Phiri". The Sunday News. 24 May 2015. Retrieved 29 June 2016. This biographical article related to Zimbabwean association football is a stub. You can help Wikipedia by expanding it.